Renting a storage space to store your extra things is the best and cost-effective way to create that extra space. However, before deciding on the storage company remember these key things to avoid troubles. Before you rent any storage unit, ask the storage manager about how regularly they increase their rates. This is important to prevent troubles at a later stage as you will factor in the extra costs in advance. If you agree with it, then ask the manager to state the numbers in writing. 2. What if the rents are due? If the rents are due, ask the manager what will be the options to pay the rent. Some storage units provide online payment options, while others allow you to carry forward the dues to certain number of months. Choose a schedule that suits you and don’t diverge from it. 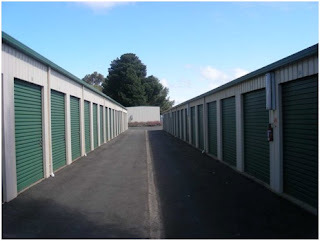 It is important to know how often you are going to access your self storage unit. This will help you ask the manager about their business hours and accordingly you can visit the storage unit. Also if you plan to visit your self storage unit regularly, you will want to rent a unit that is larger by one unit size so that you can move around freely and comfortably without damaging your things. Remember to keep the items you think you will retrieve often near the entrance of the storage unit. Contact our relocation services in Beirut for any moving and storage requirements.